Carol Adams has published over a hundred articles, books and book chapters with over 10,000 citations to her work. A full list of publications with citations to them can be found at Carol’s profile on google scholar citations. Opinion pieces, videos, podcasts and media coverage of her work are here. The following are likely to be of interest to those making change within organisations and to policy makers. Adams, C A (2017) The Sustainable Development Goals, integrated thinking and the integrated report, IIRC and ICAS. 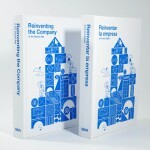 ISBN 978-1-909883-41-3. Read here. Adams CA (forthcoming). The 2030 Agenda for Sustainable Development and the Future of the Corporate Reporting Model United Nations Conference on Trade and Development (UNCTAD), United Nations, New York and Geneva. McPhail, KJ and Adams CA (2016) Corporate respect for Human Rights: meaning, scope, and the shifting order of discourse Accounting Auditing and Accountability Journal 29(4): 650-678. Read here. Young S, Nagpal, S and Adams, CA (2016) Sustainable Procurement in Australian and UK Universities Public Management Review 18(7): 993-1016 http://dx.doi.org/10.1080/14719037.2015.1051575 Read here. 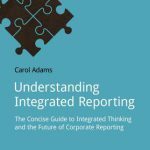 Adams CA (updated 2015, first published 2013) Understanding Integrated Reporting: The Concise Guide to Integrated Thinking and the Future of Corporate Reporting Greenleaf Publishing, Routledge ISBN 9781909293847. 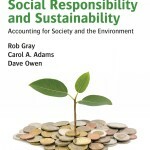 Gray R, Adams CA and Owen D (2014) Accountability, Social Responsibility and Sustainability: Accounting for Society and the Environment Pearson ISBN: 9780273681380. Boyce G and Adams CA (2011) Incorporating climate change impacts and adaptation into capital investment decision making Victorian Centre for Climate Change Adaptation Research Think Tank Report. Hoque Z and Adams CA (2011) The rise and use of balanced scorecard measures in Australian government departments Financial Accountability and Management 27 (3): 308-334. Adams CA and Petrella L (2010) Collaboration, connections and change: the UN GC, GRI, UN PRME and the GRLI Sustainability Accounting, Management and Policy Journal 1(2): 292–296. Gray, R, Owen D and Adams CA (2009) Some theories for social accounting? : A review essay and a tentative pedagogic categorisation of theorisations around social accounting, Advances in Environmental Accounting & Management 4, 1-54. Adams CA, Burritt R and Frost G (2008) Integrated Approaches to Environmental Sustainability Association of Chartered Certified Accountants (ACCA): London. Adams CA and Frost G (2008) Integrating sustainability reporting into management practices Accounting Forum 32(4): 288–302. Grosser K, Adams CA and Moon J (2008) Equal Opportunity for Women in the Workplace: A study of corporate disclosure Association of Chartered Certified Accountants (ACCA): London. Zutshi A, Sohal A and Adams CA (2008) Environmental management system adoption by government departments/agencies International Journal of Public Sector Management 21(5): 525–539. Adams CA (2008) A Commentary on: corporate social responsibility reporting and reputation risk management Accounting, Auditing and Accountability Journal 21(3): 365–370. Adams CA and Frost G (2007) Managing social and environmental performance: do companies have adequate information? Australian Accounting Review 17(3): 2–11. Adams CA and Frost G (2006) The internet and change in corporate stakeholder engagement and communication strategies on social and environmental performance Journal of Accounting and Organisational Change 2(3): 281–303. Adams CA and Frost G (2006) CSR Reporting Financial Management, June: 34–36. Adams CA and Frost GR (2006) Accessibility and functionality of the corporate web site: implications for sustainability reporting Business Strategy and the Environment 15(4): 275–287. Adams CA and Frost G (2006) Accounting for ethical, social, environmental and economic issues: towards an integrated approach CIMA Research Executive Summaries Series 2(12). Adams CA and Frost G (2004) The Development of Corporate Web-sites and implications for Ethical, Social and Environmental Reporting through these Media Institute of Chartered Accountants of Scotland (ICAS): Edinburgh. Adams CA and Zutshi A (2004) Corporate social responsibility: why business should act responsibly and be accountable Australian Accounting Review 14(3): 31–39. Adams CA and McPhail K (2004) Reporting and the politics of difference: (non)disclosure on ethnic minorities Abacus 40(3): 405–435. Adams CA and Evans R (2004) Accountability, completeness, credibility and the audit expectations gap Journal of Corporate Citizenship 14: 97–115. Adams CA (2002) Internal organisational factors influencing corporate social and ethical reporting: beyond current theorising Accounting, Auditing and Accountability Journal 15(2): 223–250. Read here. Adams CA and Kuasirikun N (2000) A comparative analysis of corporate reporting on ethical issues by UK and German chemical and pharmaceutical companies European Accounting Review 9(1): 53–80. Adams CA, Weetman P, Jones E and Gray S J (1999) Reducing the burden of US GAAP reconciliations by foreign companies listed in the US: the key question of materiality European Accounting Review 8(1): 1–22. Adams CA (1999) The Nature and Processes of Corporate Reporting on Ethical Issues Chartered Institute of Management Accountants (CIMA): London. Adams CA and Harte GF (1999) Towards Corporate Accountability for Equal Opportunities Performance Association of Chartered Certified Accountants (ACCA): London. Occasional Research Paper No. 26. Adams CA, Hill WY and Roberts CB (1998) Corporate social reporting practices in Western Europe: legitimating corporate behaviour? British Accounting Review 30(1): 1–21. Weetman P, Jones E, Adams CA and Gray S J (1998) Profit measurement in UK accounting standards: a case of increasing disharmony in relation to US GAAP and IASs Accounting and Business Research 28(3): 189–208. Adams CA, Coutts A and Harte GF (1995) Corporate equal opportunities (non) disclosure British Accounting Review 27(2): 87–108. Abayo AG, Adams CA and Roberts CB (1993) Measuring the quality of corporate disclosure in less developed countries with particular reference to Tanzania Journal of International Accounting, Auditing and Taxation 2(2): 145–158.